Home / Wayne D. Cartee, M.D. Dr. Cartee was born in Anderson, South Carolina and received his Bachelor of Science Degree from Clemson University. His Medical Degree is from the Medical University of South Carolina, Charleston, South Carolina and he completed his internship at Spartanburg General Hospital, Spartanburg, South Carolina. His residency and fellowship in Gastroenterology were completed at the University of Florida through the Jacksonville Health Education Division, Jacksonville, Florida. 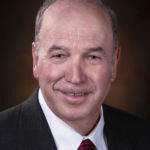 A Diplomate of the American Board of Internal Medicine in Internal Medicine and Gastroenterology, Dr. Cartee has been in private practice in Pensacola since 1984.